Have a laugh with your little and invest in some of these oddly designed baby pacifiers. The usual infant soother lacking detail and faux gangster grills is a thing of the past. Spruce up your babies pacifier and choose one of these boldly detailed soothers instead. Baby pacifiers are meant to calm and sooth your little bundle of joy when they become restless or tired. These offbeat designs feature pimped out pacifiers baring gold gangster grills as well as full grown mustaches for the dapper infant. 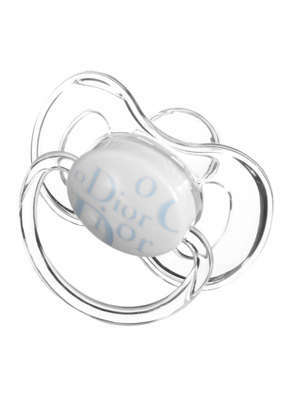 These playful pacifiers range from absolutely humorous to astonishingly luxurious with price tags worth up to $50,000. Get a little crazy with your infant accessories and go gaga over these wacky --but totally fun-- baby pacifiers.